The Government of Quebec and the National Government of Canada have developed a program that allows foreign nationals to immigrate to Quebec as business owners. The Quebec Entrepreneur Program is intended for experienced entrepreneurs who want to develop or purchase a business in Quebec. Successful applicants have the ability to live in Quebec as Canadian permanent residents while earning a living for themselves and their families. If they adhere to the Quebec business immigration rules, immigrant entrepreneurs will also put themselves in a favorable position to eventually apply for Canadian citizenship. Quebec business immigration begins with an application to be selected for participation in the Quebec Entrepreneur Program by the Government of Quebec. Successful applicants are issued a "Quebec Selection Certificate" or "Certificat de Sélection du Québéc" (CSQ). 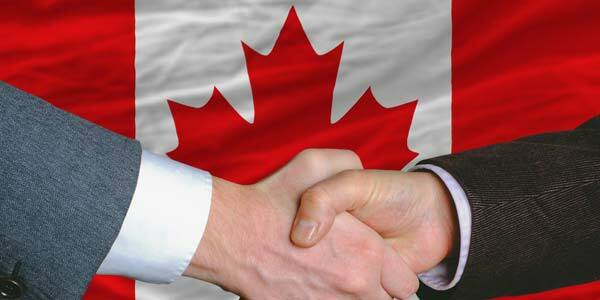 The prospective immigrant then submits an application for Canadian permanent residence to the Government of Canada. Once approved by Citizenship and Immigration Canada (CIC) the applicant can immediately move to Quebec, and four years after being granted Canada PR status it is possible for the individual and their family to apply for Canadian citizenship provided all the Quebec Entrepreneur Program requirements were sufficiently met. The Quebec Government caps the number of immigration applications it accepts annually under the Quebec Entrepreneur Program. In the 2016-2017 intake period that ended on March 31, 2017, the Quebec Entrepreneur Program cap was set at 50 applications. After submitting a Quebec entrepreneur class immigration application, completing all the steps required to receive permission to live in Quebec as a Canadian permanent resident generally takes 18 to 24 months. UPDATE: As of January 2017, the Quebec Entrepreneur Program is now full and no new applications will be accepted at this time. You can participate in the Quebec Entrepreneur Program by starting or purchasing a company in Quebec. You can also be eligible for Quebec business immigration through the Entrepreneur Program if you have previously purchased a qualifying Quebec business. Prospective immigrants are eligible to apply for the Entrepreneur Quebec Program if they can satisfy each of two key components. The first component requires proof that the applicant owns sufficient assets. The second component requires proof of the applicant's managerial experience in the operation of a business. Quebec Entrepreneur Visa applicants must demonstrate that they personally possess assets with a net value of at least CAD $300,000. The assets must have been legally acquired. The applicant may be required to demonstrate the source of the assets to assure Quebec business immigration authorities of their legitimacy. If your spouse (or common-law partner) will be accompanying you, the assets can belong to you individually, to your spouse individually, or to both of you jointly. You must also demonstrate that you have adequate settlement funding to cover your living expenses during your first three months of residency in Canada. In other words, enough of your net worth must be liquid to allow you to draw upon it to pay three months of living expenses while in Quebec. Applicants for the Quebec Entrepreneur Program must have at least two years of experience operating a legal and profitable small business. Those two years of experience must have occurred within five years prior to the date the business immigration Quebec application is submitted. Experience in any legitimate business, whether industrial, commercial, or agricultural, will qualify provided that the applicant controlled at least 25% of the capital equity in the business. Applicants can satisfy this requirement by demonstrating that they controlled the required percentage of capital equity by themselves or together with their spouse (including a common-law partner). Those duties must have been part of the applicant's actual managerial position, not work that was assigned to him or her as an apprentice or as part of a training program. Applicant must have carried out these managerial duties during all of their working hours. The more years of experience he or she has, the more likely it is that their Quebec Entrepreneur Visa application will be considered favorably. Interested in Quebec business immigration via the 2018 Quebec Entrepreneur Program? Contact us for a free consultation. Quebec immigration authorities assign points to the various selection factors. They then compare the points to a selection matrix to determine whether the applicant is eligible to participate in the Quebec Entrepreneur Program. If a potential immigrant is deemed to be eligible for business immigration to Quebec, he or she will be scheduled for a selection interview. As part of the assessment process, applicants for Quebec entrepreneur immigration can submit the results of French and English language skill evaluations. Only evaluations that have been conducted by testing sources recognized by Immigration Quebec will be accepted. Adult family members who will be living in Canada can also be evaluated. Evaluations consist of standardized tests in French and English proficiency. The tests evaluate the ability to speak and write the language, as well as the ability to understand the language in oral and written form. To receive points for language proficiency, the applicant must complete the tests, even if the applicant is a native speaker of the language. The tests must have been completed within two years prior to the date on which the Quebec Entrepreneur Program application is submitted. Test results can be enclosed with the application. The only standardized test for English that Immigration Quebec recognizes is the International English Language Testing System (IELTS). Quebec business immigration officials will only accept English test results from approved testing centers that administer the IELTS. Quebec business immigration authorities will accept French language testing that is administered by the Chambre de commerce et d’industrie de Paris Île-de-France (CCIP-IDF) or by the Centre international d’études pédagogiques (CIEP). Immigration Quebec recognizes the following French tests. Both of these Immigration Quebec approved organizations maintain Internet sites that list testing locations. The assessment process makes French the more important of the two languages. Immigration Quebec will award a maximum of 16 points for proficiency in French and a maximum of 6 points for proficiency in English. No points will be awarded for French unless the test results show at least advanced intermediate proficiency. No points will be awarded for English unless the test results show at least intermediate proficiency. Applicants are not required to submit language proficiency test results. However, they will receive no points for language proficiency during their assessment unless test results have been submitted. The failure to submit the results of language proficiency tests may, therefore, impair the applicant's ability to obtain a Selection Certificate (CSQ). Less weight is given to the language proficiency skills of family members who will be joining the immigrant in Canada. Their proficiency is nevertheless taken into account during the assessment. It is therefore recommended that adult family members complete the language testing for at least one language (preferably French). Since English or French proficiency is not a compulsory requirement of the program, Quebec immigration for entrepreneurs is possible even if a prospective candidate does not speak either language. If the assessment of a prospective immigrant's application determines that he or she is eligible for a Quebec Canada Entrepreneur Visa, the individual will be granted a selection interview. At that interview, the applicant will need to explain and defend their business plan to Immigration Quebec authorities. Applicants are entitled to bring an interpreter to the meeting to assist them. The selection interview will typically take one to two hours. At the completion of the interview, the counselor may tell the potential immigrant that their application will be accepted or denied. If the counselor needs more information before making a decision, the counselor will issue a letter of intent to refuse the application unless additional supporting documentation is submitted. The individual will then be given 90 days to provide the requested documents to Quebec business immigration officials. Making a market visit and completing a solid business plan are particularly important keys to a successful Quebec business immigration application. Our Quebec immigration professional works closely with prospective immigrants during every step of their Entrepreneur Program application to maximize their chances of success. What is the demand for the product(s) you will be producing or selling? Who are the customers for your product(s)? How will you market your product(s) to your target customers? Would other businesses in Quebec be competing with yours? What would make your business stand out from your competition? What is the best physical location for your business? If you plan to rent space, what rental opportunities are available? What resources will you need to operate your business successfully? Are suppliers of those resources available in Quebec? What will be your cost of acquiring those resources? What transportation infrastructure is available to support your business? Will you need skilled employees and, if so, are they available in Quebec? What is the prevailing wage rate that you will need to pay your employees? What laws and regulations will apply to the operation of your business? In most cases, it is recommended that you make an exploratory visit to Quebec to help you find answers to these questions. While you might be able to arrive at tentative conclusions by conducting Internet research or by engaging the services of a business consultant or immigration lawyer in Quebec, a personal visit might help you discover important information that you would otherwise overlook. It will also give you an opportunity to make contacts who can help you start your business after your application is approved. Finally, making a market visit will demonstrate to Immigration Quebec staff that you are making every effort to succeed if you are chosen to participate in the program. Our Quebec immigration professional helps prospective immigrants interested in a Canada Entrepreneur Visa plan and execute their exploratory visit to Montreal, Quebec City, or any other region of the province. An Entrepreneur Program Quebec business plan should make clear the nature of the business, how the applicant plans to fund and operate the business, and the applicant's basis for projecting the success of the business. The business plan should incorporate the answers to questions asked during the applicant's market visit to Quebec. A successful business plan for the 2018 Quebec Entrepreneur Program should include a market study which contains information about target customers and competitors. It should also identify the proposed marketing strategy for the Quebec business. Finally, the applicant should prepare an operations budget that includes projected revenues and expenses. If you do not expect to make a profit in your first year, the plan will need to explain how you will cover your operating expenses and when you anticipate that the business will become profitable. When you project revenues, be realistic. A wildly optimistic profit projection will often not impress Quebec immigration adjudicators who makes the selection decision. In general, you should make a conservative estimate of the revenues you expect your business to generate, and you should have a valid basis for making that projection. Employ at least one other resident of Quebec who is not a member of your family on a full-time permanent basis. Full-time is defined as a minimum of 30 hours per week. Agricultural businesses are exempt from this requirement. If you are issued a Canadian Entrepreneur Visa for Quebec, it is in your interest to begin working on your business startup or acquisition as soon as you arrive in the country. This process will go more quickly if you lay the groundwork during your market visit and while developing a business plan. A legal professional can help you comply with the formalities of starting or transferring ownership of a business. After you decide on the form of the business entity, you will need to register your business in Quebec and take steps to give the business a legal existence. Depending on the nature of the business, you may need to obtain required licenses and permits. A legal advisor can help you understand your obligations. If you fail to fulfill the business conditions of your visa, you may be subject to a removal hearing. For example, if you do not work full-time in your business for at least one year, or if you sell your interest in the business prematurely, you may lose your right to remain in Canada. You will, however, have the right to contest your deportation. If you cannot demonstrate at a removal hearing that you complied with your visa conditions, the Government may order your deportation from Canada. Family members who were admitted pursuant to your conditional visa would also be subject to deportation. It is, therefore, important that you comply with all Quebec Entrepreneur Program requirements to the best of your ability. A Canadian immigration professional can help prospective immigrants apply for the Quebec Entrepreneur Program and demonstrate that they have fulfilled all required conditions. How Does the Entrepreneur Program Help Quebec? Entrepreneurs who are selected to participate in the business immigration Quebec program are permitted to settle in the territory of Quebec if they are admitted as permanent residents by the Government of Canada. The Quebec Entrepreneur Program encourages business development by immigrants who have the financial ability to contribute to Quebec's economy by owning and operating a small business. The Government anticipates that immigrant business development will provide employment for Canadians residing in Quebec as well as for the immigrant and his or her family members. The Canada Entrepreneur Program, also called the Federal Entrepreneur Program, has been permanently closed. Before it was suspended, the Canada Entrepreneur Program requirements for minimum net worth and business experience were the exact same as Quebec's Entrepreneur Program. Now that the Federal Entrepreneur Program Canada has been terminated, the only Canada Entrepreneur Visa available today is through the Quebec Entrepreneur Program or various other provincial entrepreneur programs. If you have a net worth of CAD $1.6 million and wish to make a Government guaranteed passive investment of CAD $800,000, the Quebec Immigrant Investor Program (QIIP) is also an option for Canada business immigration. If you are specifically interested in immigration to Montreal, both the Quebec Investor Program and Entrepreneur Program are popular Montreal immigration avenues for high-net-worth individuals (HNWI) and their families. The Quebec Skilled Worker Program is also a feasible Montreal immigration option for highly educated or skilled workers. If you are selected to participate in the Quebec Entrepreneur Immigrant Program and are mailed a CSQ, you may apply to the Canadian government for permanent residence. As part of this process, the applicant and his or her family members must pass a medical examination and security checks. The applicant's dependents will also need to pass a medical examination, even if they will not be living in Canada. The medical examination must be performed by an independent physician, not by your own doctor. Immigration, Refugees and Citizenship Canada (IRCC) has a list of physicians around the world who are authorized to perform immigrant health examinations. Examination results are sent directly to a Canadian visa office, which then decides whether the prospective immigrant passed or failed the examination. The Quebec Entrepreneur Program is operated by Immigration, Diversité et Inclusion Québec. Obtaining an Entrepreneur Visa Canada through the Quebec business program for new immigrants affords the Canadian Permanent Resident many of the same entitlements as a Canada Investor Visa. The major difference is that it is a conditional visa that requires the individual to actively run a business in Quebec. After your admission to Canada, you will need to report regularly to Quebec immigration authorities, comply with your visa conditions, and obey all Canadian laws. Before moving to Quebec, you should acquaint yourself with housing availability and costs so that you can prepare a personal budget for settling in the province. You should also become familiar with transportation options, compare schools that you might want your children to attend, and become familiar with Canadian healthcare services and health insurance. Want to learn more about the Quebec Entrepreneur Program? Contact us for a private consultation.